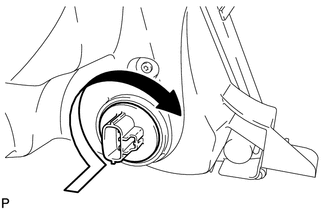 (a) Install the front side marker light bulb to the front side marker light socket. 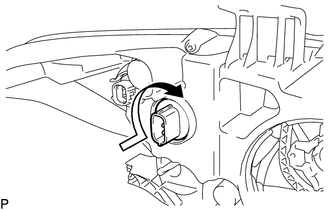 (b) Turn the front side marker light socket with the front side marker light bulb in the direction indicated by the arrow shown in the illustration to install them as a unit. 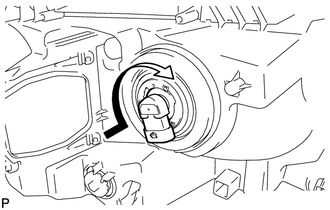 (a) Install the front turn signal light bulb to the front turn signal light socket. 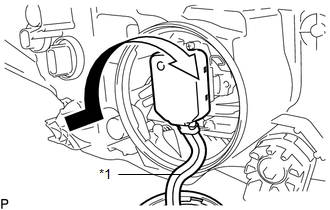 (1) Turn the front turn signal light socket with the front turn signal light bulb in the direction indicated by the arrow shown in the illustration to install them as a unit. (a) Turn the No. 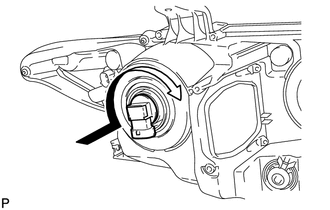 1 headlight bulb in the direction indicated by the arrow shown in the illustration to install it. Do not touch the bulb glass. (a) Turn the No. 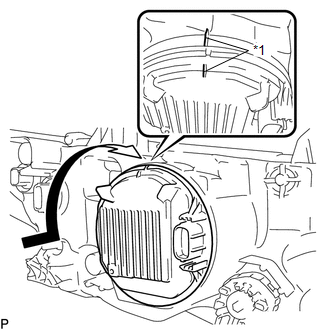 2 headlight bulb in the direction indicated by the arrow shown in the illustration to install it. 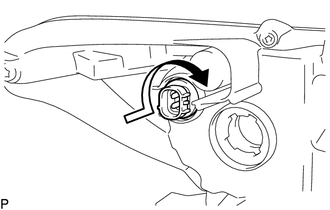 (a) Set the discharge headlight bulb to the headlight unit. 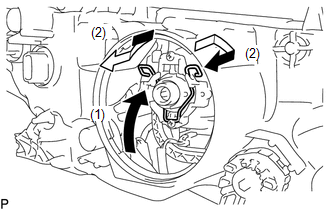 (b) Lock the set spring to install the discharge headlight bulb as shown in the illustration.